Instagram has become an immensely popular platform for young people. It's also been a bright spot for Facebook amid a tumultuous time for that platform, which is grappling with fake news, foreign election meddling and privacy issues. It's unclear what Instagram's future will look like without the original duo at the helm. Instagram founders Kevin Systrom and Mike Krieger are out. Now the question is what happens to the business they started, and what that will mean for its owner, Facebook. 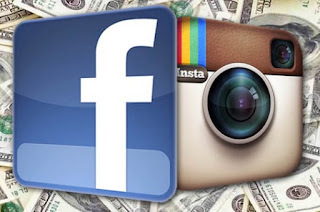 "One of the key hallmarks of Instagram has been its independence and uniqueness from Facebook. The founders closely guarded that," said Debra Aho Williamson, principal analyst at eMarketer. Bloomberg reported that Systrom and Krieger are departing because of tensions with CEO Mark Zuckerberg over the direction of Instagram. According to Bloomberg's sources, Instagram could become more integrated with Facebook now that the co-founders are leaving. With Systrom and Krieger gone, Williamson says it could be more challenging for Instagram to maintain that independence, especially if Zuckerberg installs his own executives to lead Instagram now. That doesn't have to be a bad thing, even for users who prefer Instagram to Facebook. There are some popular features on Facebook that Instagram may be able to adapt. In fact, it's already done this by adding tools like messaging, the ability to mute users and indications showing whether someone is online. It also allows users to post Instagram photos to Facebook, and prompts users to add their Facebook friends on Instagram.